Reality is harse when it comes to immitating it. 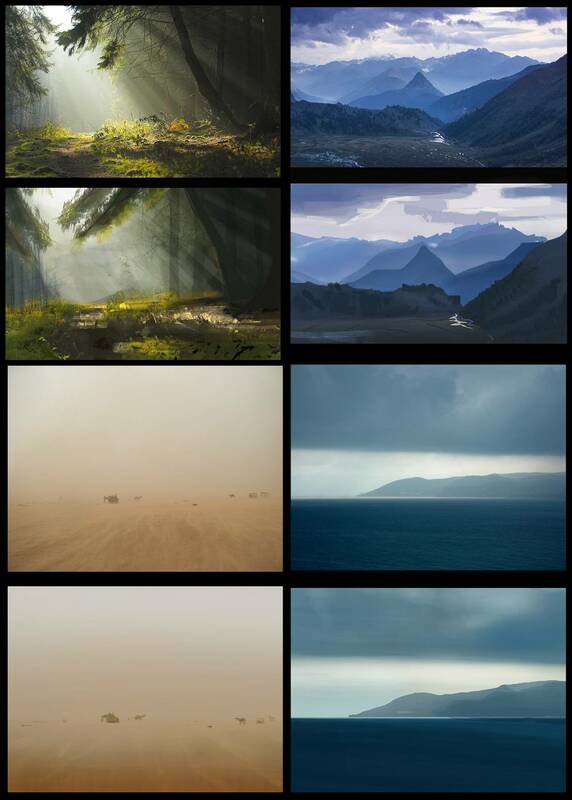 Color and Values are the key to having a harmonic natural look, even if it is graphic design or matte painting.I have the luck to be part of the CGMA Matte painting masterclass and it is a blast already. Making sketch studies is helping the artist to break down all info into essentials. 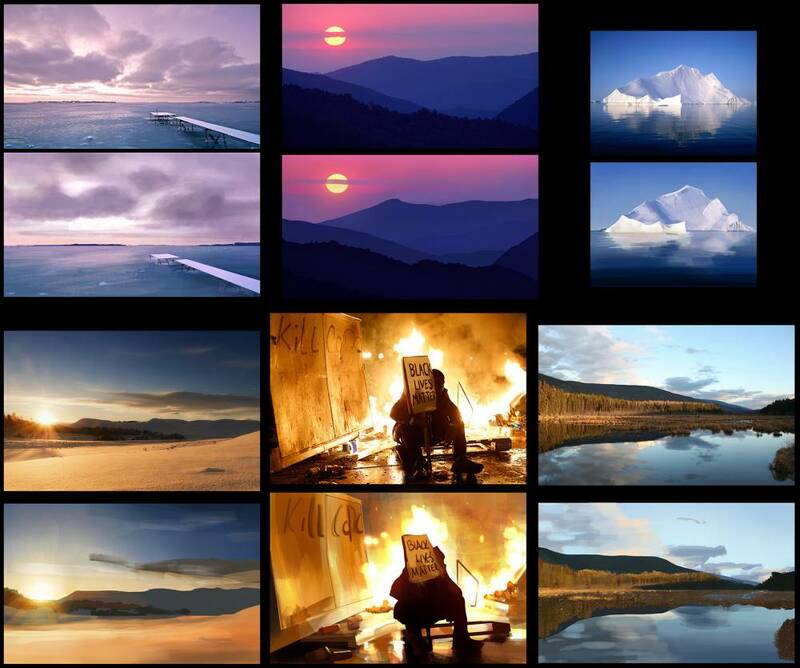 30-40 min studies on actual scenery is a key factor on understanding how things “really” look like. Creating a matte paint isnt at all just montaging after all.